Most business leaders and IT professionals are still largely unaware that unlocked phones are a legitimate alternative for a wide range of vertical industry applications that today depend largely on expensive proprietary devices for communications. 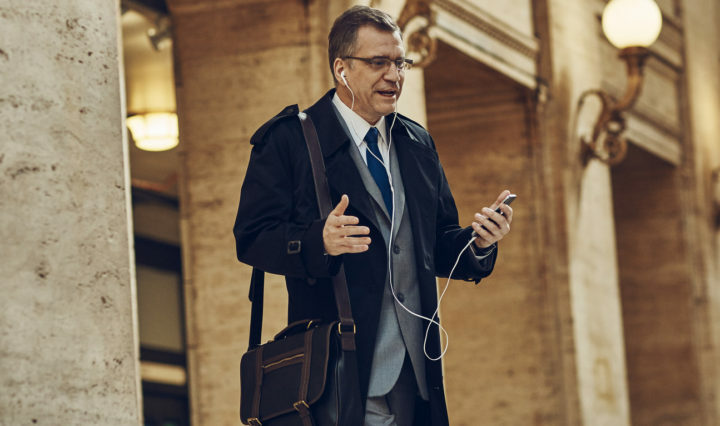 Many businesses still rely on cumbersome, legacy technology, such as walkie-talkies operating on a very narrow amount of the wireless spectrum. In many instances, this technology can be easily replaced by an unlocked phone that connects to on-premise Wi-Fi. This avoids the need for cellular service plans, which all too often are viewed as a barrier to deploying smartphones for onsite use. Warehouses: Bulky devices with attached barcode scanners have been employed within warehouses to keep track of goods for years. Thanks to advances in digital camera technologies embedded within smartphones and tablets, it’s a lot more cost-effective today. Not only does this reduce costs for many organizations invested in legacy mobile devices, it makes it more affordable for smaller companies to benefit from mobile applications. Here's how you can ensure your customers are getting the most out of unlocked phones. Healthcare: Physicians, nurses, orderlies and hospital staff have a need for constant communication. Unlocked devices make it possible to set up a private communications network that complies with healthcare privacy requirements at a fraction of the cost. Usage of each unlocked phone can also be managed and tracked in a way that ensures hospital records are not being shared with anyone not authorized to view them. Retail: Unlocked phones make it simpler and more cost-effective to arm sales staff with mobile POS terminals that can be used to conduct transactions on the store floor. Instead of asking customers to line up at a cash register, the transaction is conducted within seconds. Retailers like this because customers have less time to reconsider their purchase while waiting in line. Hospitality: Most hotel guests are only aware of what occurs at the front desk during their stay. But behind the scenes, it takes a small army of staff to ensure each guest enjoys their stay, and demands are quickly fulfilled. Everyone from front-desk staff to property management and hotel security is involved. It’s a lot simpler and faster to direct requests to the right member of the hotel staff using unlocked smartphones attached to a private network. In addition to reducing costs, unlocked smartphones can be an important element of any security and device management strategy. By standardizing on a single model, rather than purchasing from multiple carriers, IT administration is simplified. Solutions like Samsung’s Knox Configure also allow clients to lock down devices to core, applications and settings, streamlining the user experience and overall security. Of course, a customer may still opt to connect their device to a carrier network on their own or through a carrier agent. If they go with an unlocked smartphone, it makes it possible for them to shop for the best deal by geographic region, versus being locked into a global contract that may not guarantee a consistent level of service around the world. When all the elements of a mobile application for a specific vertical industry opportunity add up, solution providers can generate significant margins — ranging from reselling a smartphone to securing and deploying a wireless network. Solution providers will be pleasantly surprised to discover how many opportunities unlocked devices bring. With the flexibility that unlocked phones can offer, their clients can find new applications for employees across all departments and ensure holistic productivity. Interested in partnering with Samsung to grow your mobility practice? Register with our partner portal.